Red Hat® Ansible® Tower is available in three editions that are differentiated by support and features. Pricing is based on the number of nodes (systems, hosts, instances, VMs, containers or devices) that you are managing. Discounts available for multi-year purchases, larger volumes, and academic institutions. 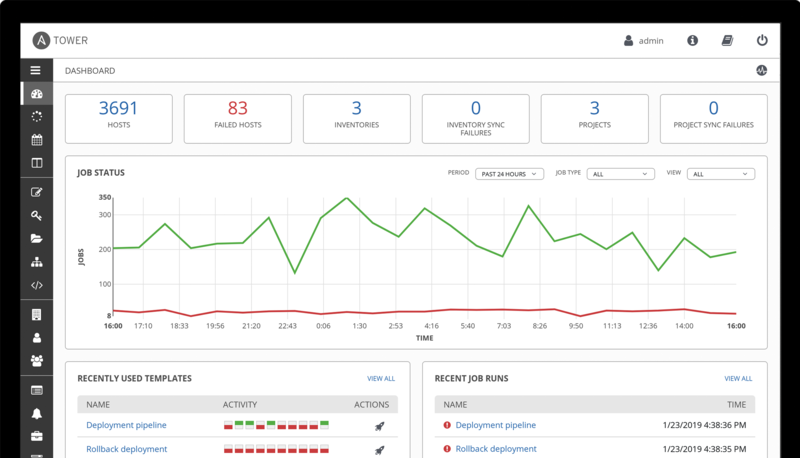 You can try all the features of Red Hat Ansible Tower now for FREE.